Those wheels are not replacements. I believe that those are the correct ones. As JEBIV and Kneab mentioned above, the wheels on your Aristocrat appear to be original equipment. Here is a close up of the wheels on my Chief (26" coppermist). Beautiful. Welcome to the club. Oh just another thing that needed some convincing from the wife..... Volvo S60 R design which is their performance line. Saw it on the lot and feel in love with it. Took six months to get the dealer and the wife to agree to my terms but I got it. Lots of fun and love the color! Well I just kinda threw the kettle on them. Was looking at it and notice the handles didn't seemed lined up right, guess that explains why. You think that's rough? That is a nice Aristocrat. Time to get cookin'! She’s a beauty and in terrific shape! Congratulations! Nothing glamorous as I haven't done anything to it yet. Are those original or did you figure out how to retread the metal wheels? I still need to figure out something for my Cado. They are original Mike. 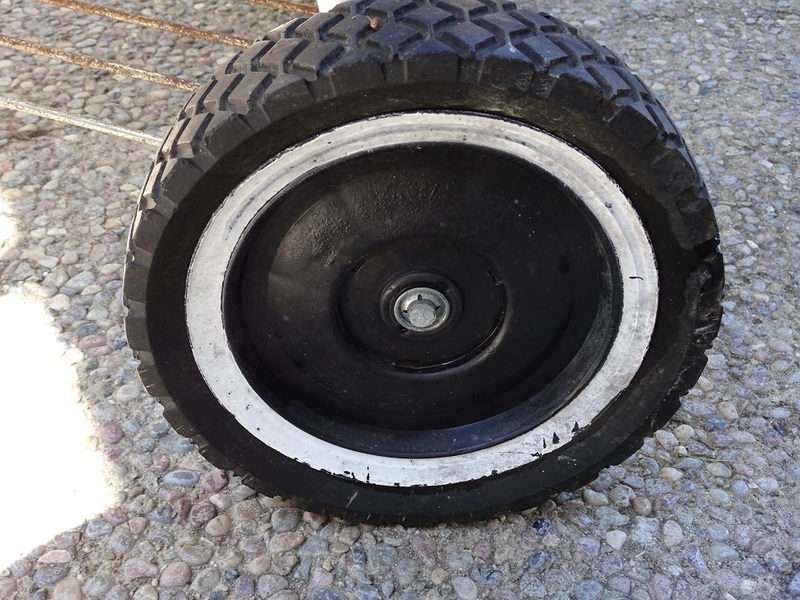 They are 8" plastic wheels with rubber treads that were used for several years on 26"ers. Crap! lol. Sweet for you though!